World Vision is committed to partnering with the people of Bolivia to improve their lives today and to help deliver sustainable solutions through child protection and participation, inclusive education, health, and economic development projects, for the future of their children, families and communities. 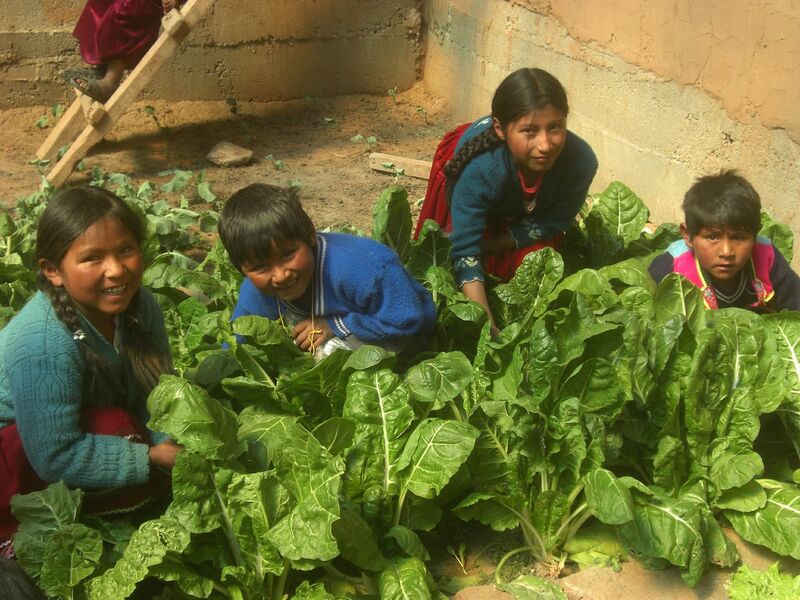 Please pray for our work with the poorest children in Bolivia. Walking between the mountains near his community, 6-year-old Lino and his donkey ‘Rambo’ will not be on the path to school today. Lino and his sisters Arminda, 17 and Reyna, 10 were orphaned three years ago when their mother died of a heart condition. Now together they take care of their small piece of land in a semi-desert zone of the Bolivian Plateau. With no parent or guardian to guide them the children do their best to cope but often it is a struggle. One day while cooking on their traditional firewood stove their hut caught fire and the children, although unharmed, lost everything. Life is hard for this young family and often school comes second to completing daily chores and looking after their small home. “When my mother lived we never lacked food, now sometimes we don’t eat anything,” sighed Lino. With our support thankfully Lino and his sister Reyna have returned to school where they receive food. They have also received school supplies to help. For someone so young Lino fears few things but one thing he is afraid of is becoming even more helpless in his situation. He fears now that his older sister will marry to survive, leaving the two younger siblings to fend for themselves. Pray for Arminda, Reyna and Lino, that God would provide guardians for them. Pray that they would know they are loved and not forgotten. 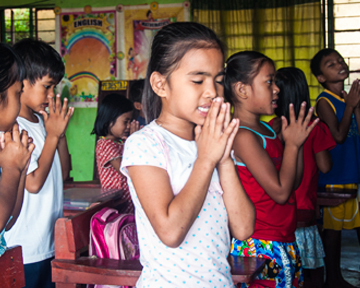 Pray for wisdom for their teachers in knowing how to support them and pray for their success in school as they walk into their futures. Victor, 13, and his younger brother Juan Vicente, 11, were abandoned by their parents eight years ago. They live with their elderly grandfather and grandmother. Their grandparents do their best to support Victor and Juan Vicente but they struggle to make ends meet. Both the children are at school. We’re helping them by providing the kids with pens, paper, school books and backpacks. Their grandparents asking you to pray for them, so that they can earn enough money to support their grandchildren and give them a good education. Rosalía is 17 years old and suffers with a stomach problem that gives her chronic gastritis. Her illness affects her everyday life. She lives with her mother. Her mother also has a disability, caused by malnutrition in her early childhood. Rosalía’s mother asks if you can pray for her daughter: that Rosalía’ll be able to get the right medical treatment and that she will be fully healed and healthy again. Faustino, aged 16, thanks God for answering his prayers. He has recovered well from an accident in which he fractured his foot. He is now back at school and going about his normal daily activities. Thank you so much for praying for Faustino’s healing. Baby Laura is not yet a year old and has been seriously ill from the time she was 7 days old. Her mother died soon after she was born. Laura is living with her Grandma who is struggling to take care of her and get her good medical treatment. We are helping to support Laura and her Grandma. Please pray Laura and her Grandma will know God’s peace and hope. Pray that the family will have enough to eat and a safe place to live. Pray too that Laura can get the medical treatment she needs. Elizabeth is 6-years-old. She cannot walk or speak and is dependant on her parents to eat, get dressed and move around. The cause of her illness has not been properly diagnosed. She lives with her parents and has one sister and four brothers. Her family is very poor and earn a meagre income from farming. Please pray for healing and blessings for Elizabeth. Pray that her family’s financial situation improves so that they can get her good medical care and are able to provide well for the whole family. Previously we asked for prayers for the children who had to walk long distances of up to 3 hours to get to school. We give thanks to God as we now have school transportation for some of the areas! This especially helps the girls in these communities to continue studying and not drop out of school. Please continue praying that the remaining communities will get school transportation too so all the children do not have to walk such long distances to get to school. Recently, one of our families lost their 12-year-old daughter, Maria Elena. The family are reeling from her death and struggling to come to terms with what happened. Please pray this family would be surrounded by God’s comfort and peace as they grieve for Maria Elena. Please also pray for Luis and his new baby daughter. Luis’ wife recently died while giving birth. Its a difficult time for Luis as he cares for his new born baby while coming to terms with his wife’s death. Please pray for strength, wisdom and grace. Pray he is able to find spaces to remember and grieve his wife. Pray too that he’ll bond quickly with his daughter and be able to care for her.